In the years immediately after the First World War there was a strong belief that another major war was unlikely and the strength of the RAF was allowed to fall to an all-time low of 371 first line aircraft in 1923. RAF strength slowly improved through the 1920s with emphasis on parity with the French Air Force but by 1934 it was clear that Germany had begun an extensive re-armament programme and they were clearly the new threat. The RAF embarked on a series of expansion plans. In the next five years a welter of schemes appeared often supplanting the previous one before it had been completed. In fact there were so many that the last one, before war broke out, Scheme M was designed to incorporate all the outstanding features of the previous schemes. In 1934 42 squadrons existed providing a first line strength of some 800 aircraft. By 1939 this had grown to 157 squadrons and 3,700 aircraft. At the same time as there had been a major increase in aircraft and aero-engine production and a rapid expansion of training to provide the new air and ground crews. 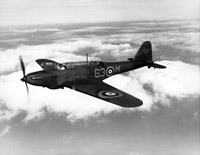 The Fairey Battle was ordered into mass production as part of the expansion of the RAF. It competed with the Spitfire and Hurricane for valuable resources, including the Rolls Royce Merlin engine. 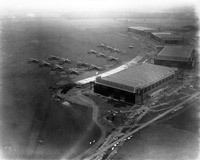 The new squadrons of the RAF needed airfields from which they could operate. 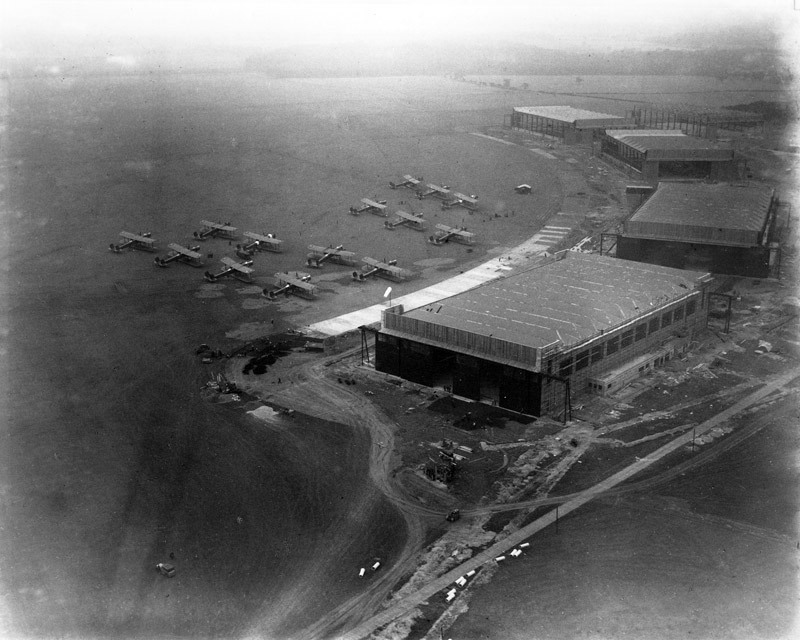 Delays in completing buildings at Finningley meant that 7 and 102 Squadrons moved to an incomplete station in 1936. As RAF expansion got into its stride many new units were formed; not all could be equipped with the most up to date aircraft. No 107 Squadron operated Hawker Hinds for two years after it was reformed in 1936. The unusual markings were used during gas spray trials over Salisbury Plain in August 1938. Aircraft orders exceeded the capacity of existing factories. The Government established a number of "shadow factories" to boost production. Spitfires were produced at the new Castle Bromwich works just in time for the Battle of Britain. No 107 Squadron operated Hawker Hinds. RADAR - The Battle Winner?